Organizations participate in a variety of marketing events, such as conferences, trade shows, and speaking engagements, just to name a few. These events are part of many marketing efforts, and they can be very beneficial. However, if you have ever worked on a marketing budget, you know these events can ‘eat’ a big chunk of that budget. I once worked for a guy who told me that “trade shows are just paid vacations for marketing people, where they eat expensive steaks and drink $40 bottles of wine on the company’s dime”. He made it a policy for the company to never participate in trade shows “because nothing comes out of them anyway”. When they returned from the show, they gave the stack of cards to the company’s receptionist to enter into a spreadsheet, which was later given to the two top-producing salespeople. This was, pretty much, the extent of the “marketing” that went into their trade shows. To get the full benefit from trade shows, and any marketing event for that matter, there is much more that needs to be done, by both marketing and sales. 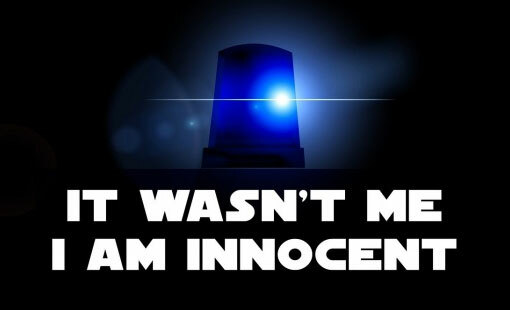 The biggest mistake made by many good organizations, is treating a marketing event as an isolated short-term “incident” that is disconnected from the overall marketing strategy with activities that start and end during the time the event takes place. At best, the organization would benefit from a short-term lead ‘Doppler Effect’… but that’s it! Make a well-thought plan for the event. Like every good plan, make sure you define a few main objectives for the particular event (such as brand awareness, new product introduction, lead generation, etc.). Make the plan for the event compatible with, and part of, your overall marketing strategy. Engage marketing and sales (and possibly other departments) in the entire process. Inform your target market of your participation and invite them to it. Schedule meetings with customers and prospects in prior to the event, and schedule them to take place before, during, and after the event, whenever possible. Devise multiple ways to ‘harvest’ contact information of leads. Salespeople should be present at the event, not just (if at all) marketing people. The plan should have a detailed and long-term follow-up component of lead nurturing. Hold an ex post facto meeting to evaluate preparation and implementation. Continuously evaluate the results relative to goals and update ROI. If you’d like to find out more about how to plan, implement, and evaluate marketing events, we will be happy to chat with you – give us a call at 888-412-2236, or click on the button below. Is Your Favorite Color the Right Color? Color choices play a major factor when designing logos. Have you ever wondered why your spa doesn’t boast a firetruck red logo or the local movie theatre doesn’t employ a shade of blue within their design? That’s because color choices can evoke emotions and influence moods. For example, red is a bold color that creates excitement, and therefore, is not a good choice for a relaxing spa day. Blue is perceived as strong, dependable, and trustworthy. You will find blue in about half of all logos – it is the most commonly used color for logos! Conversely, brown and pink are the least used colors in logos. The color decision for your logo is an important one. Choosing the right color is an involved decision, and it should go beyond simply choosing your favorite color. The infographic below can help you understand the role colors might play when making such decisions. A logotype is a logo made from words only. Examples of logotypes include Google, Pinterest, Coca-Cola, and FedEx. A logomark is an icon or symbol that contains no words and is often used with the logotype (most likely the company name). In some cases, logomarks are used on their own. For example, Apple, Shell, Target, and Nike all employ logomarks as part of their branding. If you see their icon/symbol by itself, without the name of the company, you would still recognize the brand. A typeface refers to a unique design of a set of one or more fonts composed of alphanumeric characters and symbols. There are literally millions of typefaces to choose from. In recent years, the use of san serif typefaces in logotypes has surpassed the use of serif typefaces. Modern companies are opting for the clean lines and readability of the san serif characters. 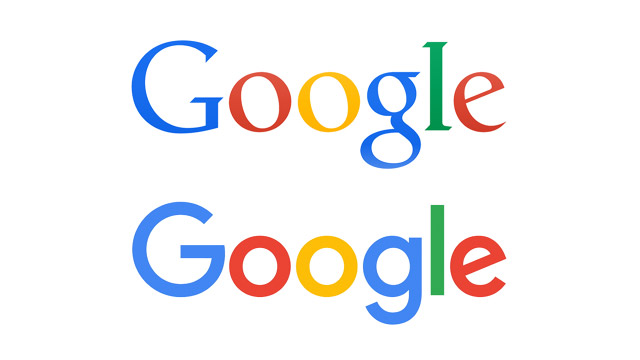 Google has recently updated their serif logo for the more modern san serif version. Another set of eyes can catch any offensive words or symbols, unintended innuendos, misunderstandings, and faux paus that may have slipped through the initial design phase. It is important to garner opinions through each stage of the design process and to make adjustments to your design when deemed necessary. Make sure to solicit feedback not only from your peers or managers, but also from members of the target audience – After all, the logo is designed to appeal to them! If you need help with your logo or would like to ask a question about design, we will be happy to chat with you – give us a call at 888-412-2236, or click on the button below. Marketing Lingo: Fonts and Typefaces – Are They the Same Thing? The truth is, since we started using personal computers and publishing went to the “desktop”, the distinction between the two terms became insignificant, and most of us use them interchangeably. However, there is a distinction between the two terms, and it was once important when typesetting was done by hand, using metal plates. In short, a typeface is a set of one or more fonts with common design features, while fonts are the subsets of the typeface, each with a specific weight, style, width, slant, etc. ‘Marketing Lingo’ is a regular column in which we define, or otherwise explain, terms often used in marketing but not necessarily correctly or properly by some.